Each of these categories will help you review a slightly different piece of your career. Even if you do not have a lot of time think about each of them quickly - information you gather will help you achieve a better outcome from completing your career assessment questionnaire. How much time you devote to this activity will depend on your career stage, the size of the career change you are considering and the amount of time available for this exercise. Position details - your name, position or job title, the name of the department and the company name. Date and duration - date you started in the position and how long you worked in the position. Role and responsibilities - a high level statement of your roles and responsibilities - no more than a few bullet points. Compensation - your present salary and other benefits, your position in the salary range (if you know it) and how your present salary compares with similar positions outside (external competitiveness). Reporting relationships - size of your team including how many direct and indirect reports you have and the position in the company that you directly report to. Once you have gathered the data summarize it in a few sentences as you go through your career assessment questionnaire. By completing this section of the career assessment questionnaire you will have an idea of your achievements, your performance, the unique experiences you have picked up and your overall career progression over the last few years. Objectives - your key goals and objectives for the next 12 months. Write down what they are and if you consider them stretch objectives or not. How easy or difficult do you think it will be for you to achieve them. Achievements - what your key achievements have been in this position for the last few years. Include all the achievements that you are proud of. Note down measurables where possible to better indicate the magnitude of the achievement. 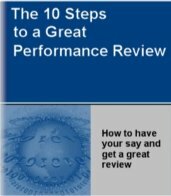 Performance - write down what your performance has been for the last six to twelve months. If your company uses some form of rating then write down your last rating. Include any comments to indicate why you got that rating. E.g. - you may have received the highest rating because you accomplished difficult tasks and overachieved. Unique Experiences - sometimes forgotten in the career assessment questionnaire they add flavour and depth to your career. Think of all the unique experiences in your position. E.g. - participation in a cross-department team, international experience, leading a unique project, learning something different and so on. Progression - a summary of how you have progressed in your career over the last 5-10 years. You can do this by simply listing the different positions you have held, the duration you held each position, company details and location. Competency Development - write down the key skills and competencies that you need to do your current job effectively. If possible, make an assessment of where you are in your competency development - i.e. if you have any key competency gaps or you need to develop further in a particular competency while working in your current job. Including this in your career assessment questionnaire will help you better understand if you could develop further by continuing to work in the present job. Education - write down your educational achievements including type of qualification, name of institution and year achieved. Training - record your training history noting down the key training and development you have undertaken in your current and previous positions. Keep it brief. You are trying to get an overall picture of your development. Language - you may be proficient in several languages. Write down the proficiency levels of each language and how well you can read, write and speak the language. This is an important aspect to include in your career assessment questionnaire as the workforce today is becoming more global with an increasing requirement to speak several languages. Interest - ask yourself what your interest and enjoyment level is in the current job. Do you genuinely enjoy your work and have a high interest level or has it become mundane and ordinary? Get a feel for this - it will help you make an assessment of how much longer you want to continue in your present position. Relationships - what sort of relationships do you have with your team, your subordinates and your manager? Are they good and healthy or not so positive? You are making an assessment of the working environment and how you relate to the people around you. Satisfaction - what is the level of overall satisfaction with your job and company? Is it good or not so good? Remember, do not get too swayed by recent positive or negative incidents - they may have too strong an influence over your judgment. Development - as you look around you think about what opportunities you have in your present job for further personal and professional development. If you stay in the job will you be able to keep developing yourself? Position - you are assessing your current position to see if it is a key position or not. What type of position is it? Is it important to the department's and the company's success? Also assess your department. How important is it and will it be around in the short and long term? Can the company function without your position and even without your department? By asking yourself these questions and observing the trends in and outside your company you will be able to make an overall assessment of the short and long term security of your position. Company - this is similar to the position assessment except that you are now asking similar questions about your company. How does it make money? What are its main goods and/services? How healthy is it? How has it been performing in the last few years? Who are its main competitors and how does it compare to them? What have been some of the trends about the company that you have observed over the last few years? What sort of leadership does it have? Do it's leaders have a good vision and does the company have a strong future? Industry - this is also similar to the previous two points except that you are now assessing the current and future viability of the industry or the industry segment of your present company. Ask yourself similar questions as above. You can also ask yourself some questions related to life cycle. Is it in a growing or mature phase? Or, is it an industry which is slowly declining? These are very important questions to ask as they have serious implications on your career. E.g. - you should not be expecting significant time spent on career development in a company which is in decline or dying. Candidate Competition - what you are assessing in this part of your career assessment questionnaire is how well you can compete with other candidates from both the internal (inside your company) and external (outside your company) job markets. In other words, if your position was open right now would you still stand a good chance of getting the job against others. This helps you make a realistic assessment of where you stand today and if your knowledge, skills and experience need some brushing up. Work-life-balance and family needs - what are your present work-life-balance and family needs? Do you need to spend more time at home and support your family because you have a young family? How will you balance your time between work and home? These are important questions to include in your career assessment questionnaire before you plunge yourself into a major career change effort which could mean less time for your family. Having a great job is important. But, if you are going to be miserable at home because you have not thought about and planned for issues in advance then going for that great job will not be worth it in the long run. Educational needs - are you undertaking or about to undertake educational courses or major studies? How much time will you need to commit to this and how will you balance it with your work and home or family needs? How will this impact on any career change you are considering? Sometimes we under call the amount of time and commitment that studies can require. Do not underestimate it. Financial needs- what are your current financial needs? Do you have a big mortgage or another commitment which may make it risky to give up your present job or undergo a big change in your career? How will this impact on your family? Will your financial needs be decreasing or increasing in the next few years? Including these questions in your career assessment questionnaire will help you make an assessment of how much risk you can take as you consider your career change. Geographic location needs - what are your current preferences with where you work and where you live? Are there certain issues that you need to consider while thinking about your current location preferences - e.g. proximity to family, schooling, etc. Can you continue working and living where you are today? Would you move to a different city or even to a new country if an opportunity came up? Reflecting on these in your career assessment questionnaire will help you think about your preferences with your current location and issues to consider if you have to move. Are there any other important issues which may impact onyour career change initiative? If they have not been covered in your career assessment questionnaire then jot them down so you have an even better assessment of where you are today. By now you have gone through each of the above points of your career assessment questionnaire and possibly written down a lot of thoughts. Or these may even be in your mind. If you have not written them down then I will encourage you to jot down your thoughts. Once you have recorded your findings review each point in your career assessment questionnaire. Reflect on your findings. Do this over a few days. Give yourself time and space between each sitting. As you reflect on your career assessment questionnaire you will find that new thoughts or ideas will come to you. The mind has an amazing way of bringing to you the answers to the questions you have. You will be surprised at what more you find out. Give it a try! Finally, as you are completing your career assessment questionnaire write down the main themes or conclusions that you arrive at - kind of like your executive summary of where you are today. This will be handy as you move forward.